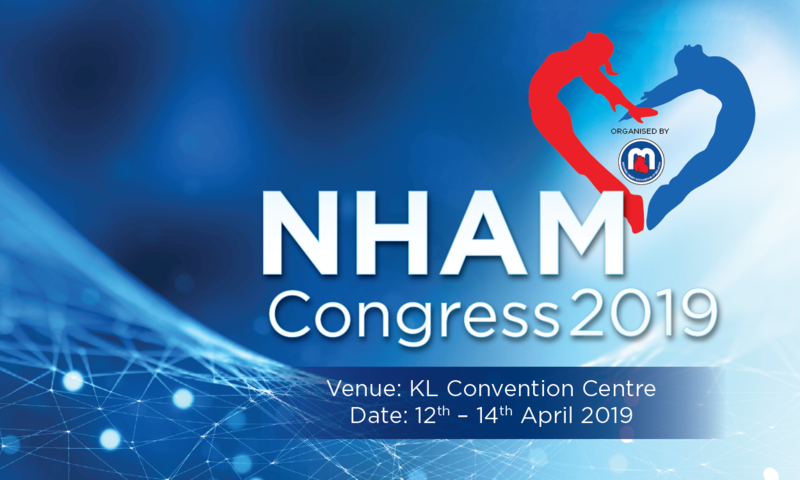 MMA-CPD POINTS: 20 CPD points will be awarded to doctors who attend the full NHAM Congress 2019. Attendees are required to download the MMA-CPD app and sign up for an account (for MMA members and non-MMA members). To receive the CPD points, scan QR code with the MMA Scanner app to mark your attendance at the REGISTRATION COUNTER located at CENTRE CORE, LEVEL 3 from 12 April 2019 at 2PM onwards to 14 April 2019 at 1PM. Please refer to this link on how to download the MMA-CPD Mobile App: Click here. For non-doctors, attendees are required to sign-in the manual attendance: by completing the attendance return form with their full name and complete NRIC. NHAM will not be held responsible if NO CPD points are allocated to you due to incomplete, non-submission or late submission for CPD points.